Sony got into the widescreen projector business long before most other vendors were even thinking about it. Due to their long track record of delivering more and better performance for the money, each new Sony widescreen projector is anticipated with eager enthusiasm. The new VPL-HS20, which just started shipping last quarter, represents the best value for the money that Sony has yet delivered. 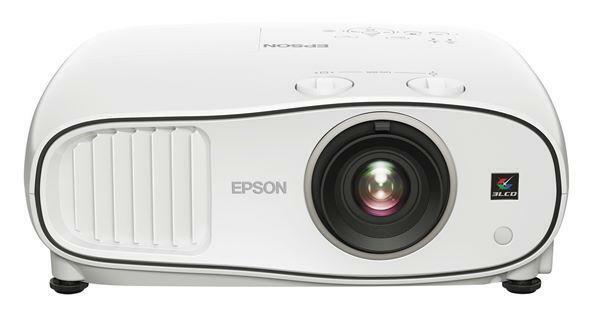 The HS20 is a native 16:9 widescreen format projector with three 0.87" 1386x788 resolution LCD panels incorporating Micro Lens Array. It is rated at 1400 ANSI lumens of brightness, and up to 1300:1 full on/off contrast. The HS20 features vertical keystone correction as well as horizontal keystone correction under the marketing name "Sideshot." This enables you to set the projector off axis either vertically or horizontally from the center of the screen and still square up the image. It also offers an "IRIS," which is an adjustable lens aperture that the user can open for maximum brightness or close for lower lumen output and better contrast. Air intakes are on the bottom of the unit, and exhaust is out the front panel, making it suitable for shelf-mounting on a rear wall should that be a desired option. Bear in mind however that the projector is 15" from front to rear, and the connection panel located on the rear of the unit will require an extra six inches of clearance for cables. Therefore the mounting shelf will need to be larger than that of a typical bookshelf. Size and Weight. The unit is 14" wide, 15" deep, 5" tall, and weighs 12 lbs. Connection panel. Located on the rear of the unit. Includes one DVI-D (w/ HDCP) digital input for RGB and component, one HDMI port, one set of 3-RCA component jacks, one of Sony's custom "PJ-Multi" ports that will accommodate computer, component, video and S-video signals via a single 10-meter custom cable that is provided with the unit, one S-video port, and one composite jack. In addition to the signal input connections on the rear panel, the HS20 has a MediaStick slot on the front panel that lets you view either still pictures or movies recorded on that medium. Signal Compatibility. 480i, 480p, 575i, 575p, 720p, 1080i, and computer resolutions VGA 640x480 through XGA 1024x768 and 1280x768. Color systems include NTSC, NTSC 4.43, PAL, PAL-M, PAL-N, SECAM. Fan noise. Two operating modes are available. In normal mode with highest light output the audible noise is low and quite usable for home theater. Low fan mode reduces light output by about 20%, increase lamp life from 2000 hours up to 3000 hours, and reduces fan noise incrementally. Color-correcting filter. Sony offers an optional light magenta glass filter for the HS20 which screws onto the lens housing. Magenta is the absence of green, so you can think of this as a "minus green" filter that absorbs excess green light emanating from the lamp, thus rendering more accurate color overall. The color shift is particularly evident in flesh tones. By blocking some of the light in the green portion of the spectrum, the filter reduces overall lumen output of the projector. This filter does not come standard with the HS20, but the part number is 4-091-845-01. It can be ordered domestically by calling Sony at 1-800-488-7669.